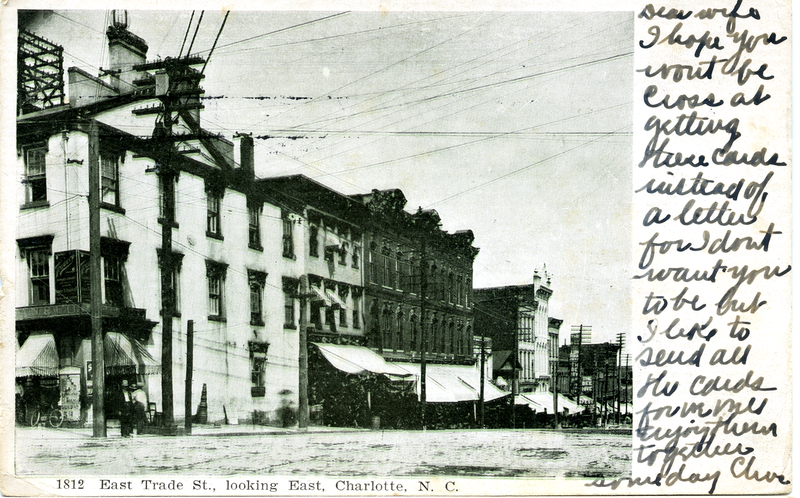 Fabulous shot of East Trade Street from the Square looking eastward. The Belks Brothers store is the third building on the left. East Trade Street from the Square looking eastward. The Belks Brothers store is the third building on the left.